Luxury holiday home (casa) for rent with air conditioning and heating. Set in a small quiet complex with landscaped gardens and pools, it is ideally location, being just a moments walk to the Marina and beaches in Cala D'or. 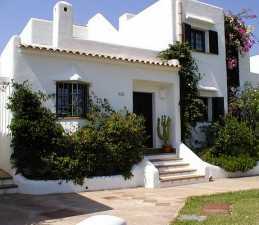 This holiday rental villa has 3 bedrooms and 2 bathrooms, and sleeps 6-7. Our Cala d'Or house is available for rent Currently long-term unavailable. 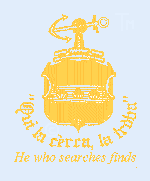 If your dates don't match please scroll down to find links for other holiday casa rentals in Cala d'Or and the Majorca . It will be hard to drag yourself away from the landscaped grounds and the beautiful pools of the rental house complex, but when you do, you will find that the glorious choice of beaches in the Cala D'Or area are just as enticing. This spacious holiday rental casa has an airy lounge and dining area with satellite TV, settees, coffee table, dining table with seating for 6. 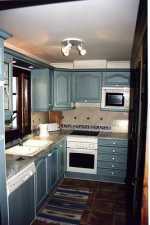 A fully fitted kitchen with oven, hob, microwave and dishwasher leading to a utility room with washing machine. Patio doors lead to the enclosed garden with terrace area with table chairs and loungers looking onto the pool. A gallery area leads to an outside terrace with table and chairs leading to roof top sunbathing area with fantastic views over Cala Dor. There are 2 bedrooms on the ground floor with fitted wardrobes and a full bathroom. On the first floor is the main bedroom with double bed, fitted wardrobes, dressing area leading to a bathroom with twin washbasins. There are 3 pools and landscaped gardens with pool showers. The complex has security gates and there is a private parking space if required. 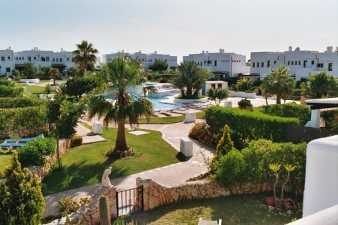 The complex is a five minute walk from the fine restaurants, Marina and beaches in Cala D扥r. This is an ideal family destination and there are many sandy beaches in the vicinity of Cala D扥r, one of which is just 10 minutes walk away from the complex (Es Forti). There is a windsurfing school and an 18 hole golf course in the area. There are boat trips, horse riding and bike hire available. 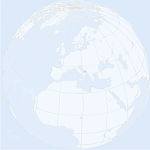 Palma airport is 45 minute drive away. Car hire and taxi transfers can be arranged at competitive prices. The price for this luxury holiday rental is from �0 to �100 per week, depending on numbers of people, length of stay and time of year. Please enquire about availability for your dates and costing. 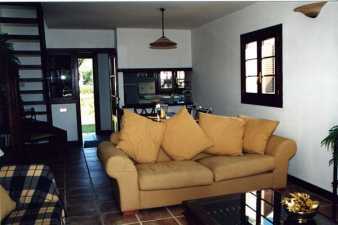 Illetas near Palma Convenient 2 bedroom apartment with gardens, pool, nice views near beach and golf facilities. HIGHLY RECOMMENDED 2019: Good availability - please enquire..
Yacht Sailing with Tudor Dawn : THE FUN DAY CRUISE around the bay of Pollenca, Learn to sail, Snorkelling, banana boat rides, jet skiing for all ages. San Telmo near Andratx: - 3 bedroom house with balcony and roof terrace that overlooks the bay in a small fishing village. Sleeps 6. 2019: Good availability - please enquire..
Cala D'or apartments SELECTION OF LUXURY APARTMENTS ON A SMALL PRIVATE COMPLEX WITH POOL & GARDENS 3, 2 & 1 BEDROOMSAll have recently been refurbished to a high standard offering luxury accommodation with a/c (and heating for the winter period) in tranquil surroundings with pool and gardens 2019: Good availability. 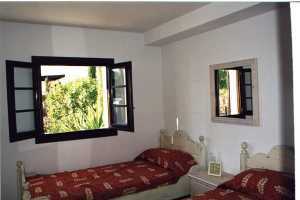 Andratx countryside: - Child friendly villa with pool. Situated in the countryside and just a few minutes by car from Andratx beach. Heating, air conditioning and Broadband Internet for year round family holidays with children. Currently long-term unavailable. Luxury villa: on the Roca Llisa side of Ibiza with private pool, terraces, DVD Home theatre system, Hi Fi with large CD collection and sun terraces. 4 bedrooms sleeps 8. Near Ibiza Town in secluded rural location: Large villa with separate apartment making it ideal for groups and large families. 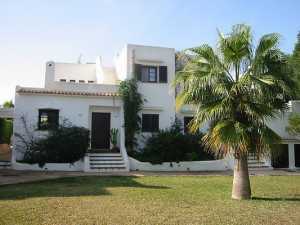 This beautifully renovated traditional finca stands in large grounds with fantastic views and a pool. Parking for many cars and easy access to the beaches and towns of Ibiza make this the perfect holiday place for all members of the family. 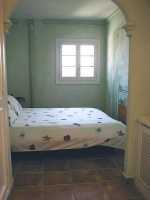 5/6 bedrooms sleeps 10 - 14. Currently long-term unavailable. Make sure you travel comfortably - if you're going to the beach or camping - or if you fear an airport delay - pack a good airbed / lilo in your luggage!